Whew! After that streak of Star Wars reviews, some of you might have been worried that I had no other books to talk about. Fear not, hardy readers! There are a couple of different novels which I have up my sleave, one of which we will discuss today. Since we are only a few weeks from December (where did the year go?!?! ), however, I will have time for just one more book review this year. That slot is going to another Dean Koontz book, as promised to Mr. Bookstooge. All others will have to wait until January of 2019. All right, with that out of the way, let us turn to today’s subject. 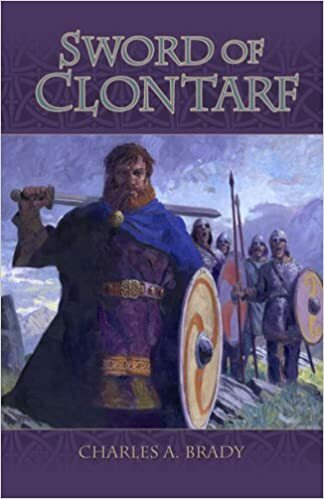 This would be Sword of Clontarf, by Charles A. Brady. Sword is a children’s book, obviously, centered on a fictional character who shows us a piece of history. Originally published in 1960, the reprint I have came out in 2006, so you can buy a good copy of this story new if you desire, readers. The book begins with Niall (pronounced like “Neil”) Arneson being shaken awake by his Irish, Christian mother. Taken to Iceland after being captured by Vikings during a raid on Ireland, Etain the Fair is known throughout Eaglewaterheath, Iceland, as the Dumb Woman. No one means disrespect to her with this title – especially since she is the second wife of the steading’s master, Arne Helgison. Etain is known as the Dumb Woman because she can’t speak. Only, now she suddenly is speaking to Niall. And she is speaking in Irish! Finally on his feet, Niall learns from his mother and his uncle, Hjalti, that his father has been murdered. Clearly, this is bad, but on it’s own it is not enough to warrant such an urgent wake up call. Nor is it cause for Niall to flee his home all of a sudden. By rights, Niall should be out with his three older half brothers hunting his father’s murderers. But you see, that is where the crunch comes. Niall is a Christian. His older half brothers are pagan, just like his father. Arne allowed Etain to keep her faith and have Niall baptized, but he retained his pagan views. His first three sons followed his example, but they have never liked Etain or their kid half brother. With Arne gone they are likely to seize the chance to murder Niall themselves before chasing down Arne’s killers. Etain, naturally, does not want that for her son. While Hjalti would be happy to offer Niall protection and care, being fonder of him than of his other nephews, the idea of having to kill his brother’s other sons to defend the youngest does not appeal to him anymore than it does to Etain. Thus the two have come at this early hour to prepare Niall either to flee or to fight. It is his choice. Seeing the reason behind their arguments (eventually), Niall accepts their plan and dresses quickly. As he is preparing to leave, his mother drops another bombshell on him. Through her, he is related to the former high king of Ireland, who now serves as the current High King’s chief advisor and friend. Who is the High King – the present Ard Rhi – of Ireland in this year of 1000? The answer to your question is Brian Boru. Unlike King Arthur, Brian Boru is confirmed to have lived. Around the year 1000, Brian united all the clans of Ireland under one banner, becoming the High King of the island. Traditionally, the position of Ard Rhi didn’t mean what we would think today. The head of every clan in Ireland had a king; becoming Ard Rhi or High King wasn’t like becoming King of England or King of France. It was a somewhat temporary position and it didn’t have a lot of power attached to it. Biran Boru changed that. For ten years he ruled a united Ireland, keeping the peace and making it the safest it had ever been. There is a legend that, during Brian’s reign, a well dressed young lady with a solid gold ring walked the length of Ireland (35 miles) completely unmolested. That is the type of peace Brian brought to the country. In the year 1014 the pagan Norsemen – known better to modern audiences simply as “Vikings” – tried to invade Ireland. They raided the country pretty regularly prior to Brian’s reign; I believe he might have become Ard Rhi mainly to drive them from the Emerald Isle’s shores, though it is possible that I am remembering my history incorrectly. Either way, in 1014, on Good Friday, the Norsemen tried again to take Ireland at the Battle of Clontarf. It was a pitched battle, and if the Norsemen had won, Western civilization might never have risen as quickly or as well from Rome’s ashes. As it is, the Irish turned the assault aside when the tide went out, taking the Norsemen’s boats with it. Some might say this was coincidence, or good planning on the part of the Irish. It was neither; it was Providence, pure and plain and true. The Battle of Clontarf was a great engagement, and the Irish distinguished themselves well there. But the fight had a cost, too. During the battle Brian Boru was slain in his tent, where he was praying for victory. His death ended Ireland’s unity, though not her civilization, nor her contributions to the West. But it was a sad loss nonetheless. Before all of this happens in the novel, however, Niall receives something precious and deadly from his mother. Etain didn’t feign dumbness when she was captured by the Norsemen. Not on purpose, anyway. The reason she did not speak when the Norsemen captured her was because she had something in her mouth. It was a talisman they valued highly called Thor’s Ring. Now the Thor you encounter in this novel isn’t the jovial, knightly, Christianized hero of Marvel Comics’ fame. (Yes, I said ‘Christianized,’ readers. What is more, I meant it; let the new Marvel hierarchy gnash their teeth about it if they like, but the truth is that Stan Lee Christianized the old Norse myths. That includes Thor Odinson.) The Thor in this novel is like the original Norse interpretation: fierce, bloodthirsty, and dangerous. And the Norsemen worship him and his fellow Asgardians accordingly. Whether one believes such a talisman ever existed or that it had some kind of power does not matter. What matters is that the Norsemen believed it had power. As long as the Irish held the Ring and two other talismen of import in the novel, they could force a truce on the Norsemen. But if the heathen Northmen ever got their hands on the three talismen, it would mean all out, open war between the two factions again. In order to protect the Ring and her people, Etain hid it in her mouth during the raid. She couldn’t speak without giving away her secret and, when the Norsemen came to the conclusion that she had been born dumb, she kept up the charade out of fear for her life. This fear extended to her husband, whom she came to love deeply. Eventually she felt guilty for keeping him in the dark about her ability to speak. She kept trying to work up the nerve to tell him the truth, but put it off every time. Now, of course, it is too late to set the record straight for him. Anyway, that is the set up for the first chapter. After saying his good-byes, Niall sets out from Eaglewaterheath with an Irish thrall his mother and uncle have freed. After a series of adventures, he reaches Ireland and joins his mother’s kin…..
….And that is the last of the spoilers you are getting, readers! 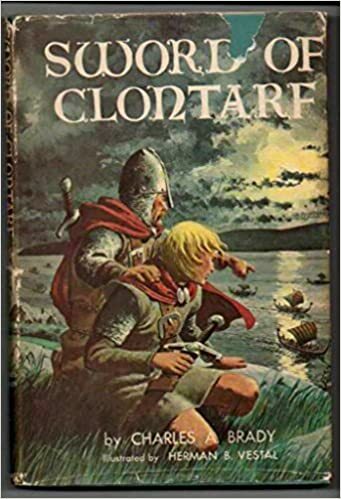 If you want to know what befalls Niall in Sword of Clontarf, pick the novel up today. A good read that is full of history, it is well worth the purchase price. Enjoy it, readers! This entry was posted in Book Reviews, Youth Books and tagged Ard Rhi, Book Reviews, books for children, Brian Boru, Charles A. Brady, children's stories, Christianity, Dean Koontz, Good Friday, historical fiction, History, Iceland, Ireland, Irish, Irish history, King Arthur, Marvel Comics, Norsemen, old books for children, Stan Lee, Sword of Clontarf, Thor Odinson, Vikings, Wedge Antilles, Youth Books on November 16, 2018 by The Mithril Guardian. 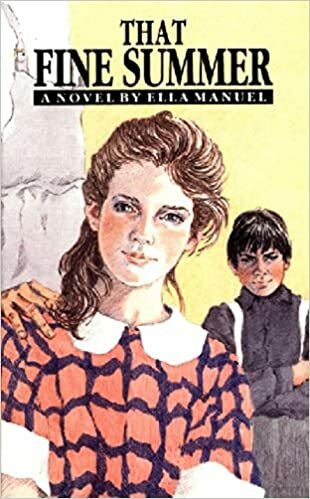 That Fine Summer, by Ella Manuel, is a short children’s book set in Fox Cove, Newfoundland. Never heard of Newfoundland? I am not terribly surprised; The Rock, as her people call her, is not the most popular tourist destination in the world. Newfoundland was discovered by Norsemen and colonized by them at the turn of the Dark Ages, if my memory serves me correctly. But it was not until after Christopher Columbus discovered America that a more permanent colony was set up. Over time English, Scottish, and Irish settlers came to Newfoundland to make their living on the bountiful cod, as well as the natural wealth of the rugged island itself. By the twentieth century, Newfoundland was its own island nation. I do not know the year, but Canada eventually annexed the island through Confederation. I believe That Fine Summer is set before Confederation, back when Newfoundland was an independent country. In this short novel, Mahala “Malie” Jacobs marches out to her Grandfather’s house in a right fury. When asked what the matter is, she tells him that her mother has made her wear a new dress and a new set of shoes first thing in the morning. Mahala is a tomboy who likes to go fishing and sailing, things she can only really do with her Grandfather. Her mother, her grandfather’s only child, wants Mahala to act and dress like a proper lady. The only things the two agree on are that they love each other, they love Grandfather, and they are ardent piano players. That evening, Mahala’s mother springs another unwelcome surprise on her daughter. She tells Malie that they are going to St. John’s, the capitol city of Newfoundland, for the summer. Malie is thunderstruck. She does not want to go to the city. She wants to stay in Fox Cove with her grandfather, fishing, exploring the beaches, and just having fun in her own native place. She has had it all planned out for the last few months. This leads to an explosive family argument, and Malie goes to the person who understands her best to solve the dilemma: Grandfather. Grandfather talks to Mahala’s mother and convinces her to let Malie stay with him throughout the summer… That fine summer. I’ll not spoil the rest of the book for you, readers. It is a sweet little story, with lots of local color and language. If you do not understand the Newfoundland slang, the BREAKWATER edition has a short glossary of Newfoundland expressions included in it. But between the jigs and the reels, the story should be easy for children to read and understand. Have fun fishing for this book and learning about The Rock, readers! This entry was posted in Book Reviews, Youth Books and tagged Book Reviews, books, books about sailing, books for children, Canada, Confederation, Ella Manuel, England, English, Ireland, Irish, island nation, islands, Mahala “Malie” Jacobs, Newfoundland, Norsemen, old books, old books for children, Scotland, Scottish, St. John's Newfoundland, That Fine Summer, Youth Books on June 2, 2017 by The Mithril Guardian. This entry was posted in Poetry and tagged Catholic, Catholicism, God, Holy Spirit, Ireland, Irish, Jesus Christ, Poetry, prayer, Roman Catholic, shamrocks, St. Patrick, St. Patrick's Day on March 17, 2017 by The Mithril Guardian. I, Juan de Pareja is a historical novel a friend read some time ago and raved about for a while afterward. Recently, I saw the book on the library shelves and thought, I will read this. So I did. Many people these days like to pick on the United States for a great many things. One of their prime delights is to attack the U.S. on account of slavery, which became illegal after the American Civil War. American slavery, just like most other forms of slavery, was certainly an abomination. This is a fact. However, what people tend to forget – either through lack of knowledge or by willfully ignoring the facts – is that the U.S. did not start slavery. Slavery existed from the year dot. The Ancient Greeks owned slaves, who had no rights whatsoever under the law. The Ancient Romans had slaves, as did the Ancient Irish and Scandinavians. There is no country on Earth where slavery did not exist at one time or another in some (more or less severe) form. America inherited the idea of slavery from Europe. By the era of the American Revolution, slavery was dying out in the Old World. Indenturing people as servants – as we saw in the post on Carry On, Mr. Bowditch – died out after slavery. And the fact is slavery still exists today. Asia has a vibrant slave trade, and while slavery is not sanctioned in first world countries, this does not mean there are not people who are held as slaves within these nations. In the 1600s – when I, Juan de Pareja takes place – slavery was not yet obsolete in Europe. Juan de Pareja was a black slave, the son of a black woman and a white Spaniard who could not afford to buy her. Orphaned at five when his mother died, Juan remained in the house of his mother’s owners, Don Basilio and Doña Emilia Rodríguez. After Don Basilio’s death, Juan lived with Doña Emilia in Seville until she died some years later. Long before these events, Doña Emilia taught him to read and write. Juan suffered no great torments in the Rodríguez household. According to all reports, he was relatively well-loved by the couple. But on his journey to Doña Emilia’s nephew Don Diego Velázquez, who had inherited him after her death, he was abused by a gypsy hired to take him to Velázquez’s home in Madrid. Eventually, Juan de Pareja came to Velázquez’s house. Don Velázquez never mistreated Juan. He made the young slave his personal assistant. Juan’s duty was to grind the colors for Velázquez’s paint, to clean the used paint brushes, and to help in the alignment of the objects of the master’s paintings. For years Juan stood behind Velázquez, watching him paint his masterpieces…. It was not long before the young black boy declared that he would like to paint. “Alas, I cannot teach you,” Don Velázquez replied. A law in Spain had declared that it was illegal for slaves to learn and practice the arts. If Don Velázquez had taken Juan as an apprentice, he would have broken the law and been subject to punishment. So the years rolled by, and as time went on, the two men became close friends. Wherever Don Velázquez went, Juan followed. This was because of his slave status but, after their years of friendship, it is quite possible that Juan would have stayed with him anyway. On their first trip to Italy, while Velázquez was studying the art of the great painters there and making copies for the Spanish court, Juan started to practice painting covertly. He carried on practicing secretly in Spain after their return, watching and learning as Don Velázquez continued his work. Eventually, he could bear the secrecy no longer. On an occasion when the King of Spain entered Velázquez’s studio, he found a painting that Juan had made and set out specifically for him to see. Once he had found it, Juan fell on his knees before the king and confessed what he had done, begging no retribution for his master (who had no idea that Juan had been painting behind his back), and saying that he was willing to endure whatever punishment may come from his disobedience to the law. Was Juan de Pareja punished? You must read the book to learn his fate! Those of you well-versed in the lore of great art probably already know what became of him. But I will spoil no more of the novel for anyone else. Elizabeth Borton de Treviño writes exquisitely, and she describes seventeenth century Spain with great care. Her historical novel is enlightening as she weaves a warm, heartfelt story out of the snippets of recorded fact. A book for all ages, I, Juan de Pareja is certain to touch the heart of any reader out there. 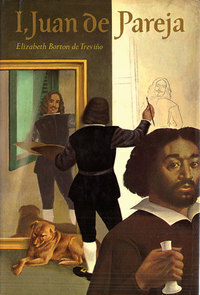 This entry was posted in Book Reviews, Youth Books and tagged America, American Civil War, American Revolution, American Revolutionary War, art, Book Reviews, books, Doña Emilia Rodríguez, Don Basilio Rodríguez, Don Diego Velázquez, Elizabeth Borton de Treviño, European art, Greece, gypsy, Ireland, Juan de Pareja, Madrid, masterpieces, Painting, Rome, Scandinavia, Seville, slavery, slaves, Spain, United States of America, Youth Books on June 17, 2016 by The Mithril Guardian. If you have read my post on my favorite songs by the Irish artist Enya, then you know I am really into Irish music. Recently, I discovered these songs performed by an Irish all-women band called Celtic Woman. Though I cannot say that I like their singing more than I enjoy Enya’s, they certainly do sing well. This entry was posted in Music Reviews, Poetry and tagged Celtic, Celtic Woman, Ireland, Irish, Music Reviews, Rhythm on September 18, 2014 by The Mithril Guardian.